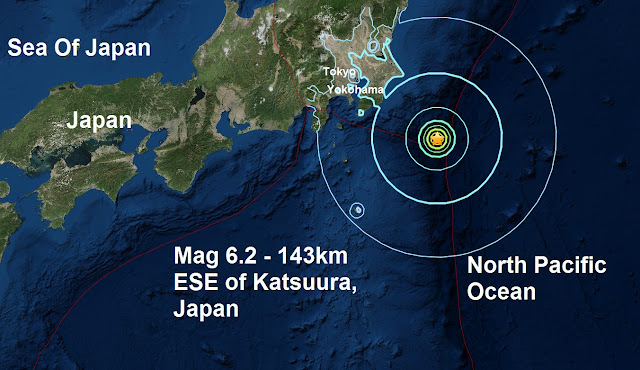 A magnitude 6.2 - 143km ESE of Katsuura, Japan is the 9th major quake of September and the 101st this year. 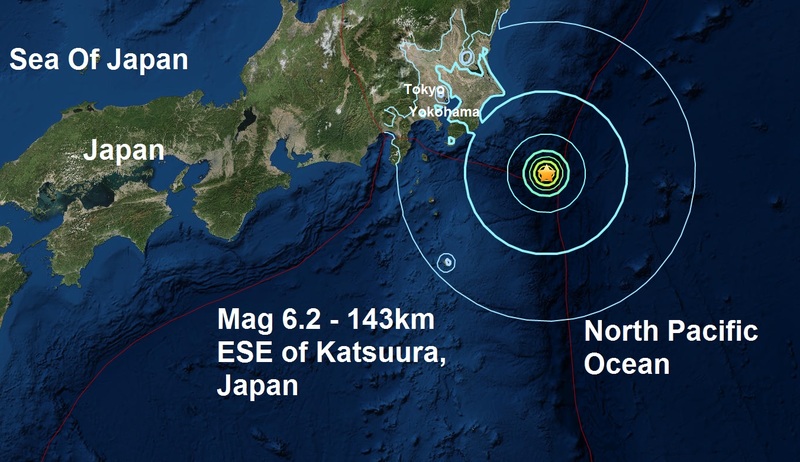 Earlier in the week a magnitude 6.1 also close to Japan was special in that it was this years 100th major quake. Although the quake shook Tokyo there is a low likelihood of casualties and damage. 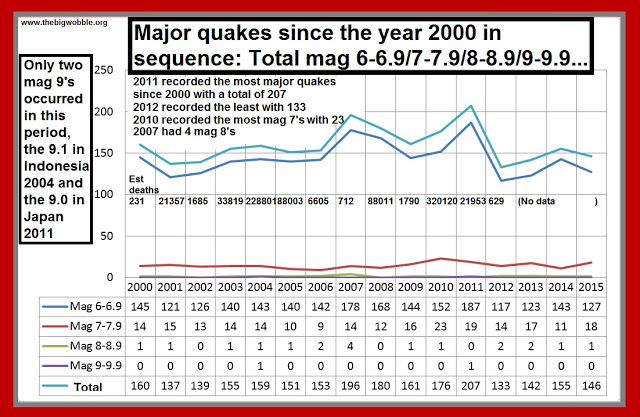 With approximately three and a half months left to the end of this year we could be looking at around 130 major quakes for the year.